Previous Post: Colorado Candy Co. Impact Confections Giant X Games Warhead sculpture Next Post: Hard coated foam sculpture for Colorado’s Air Cannons Inc! 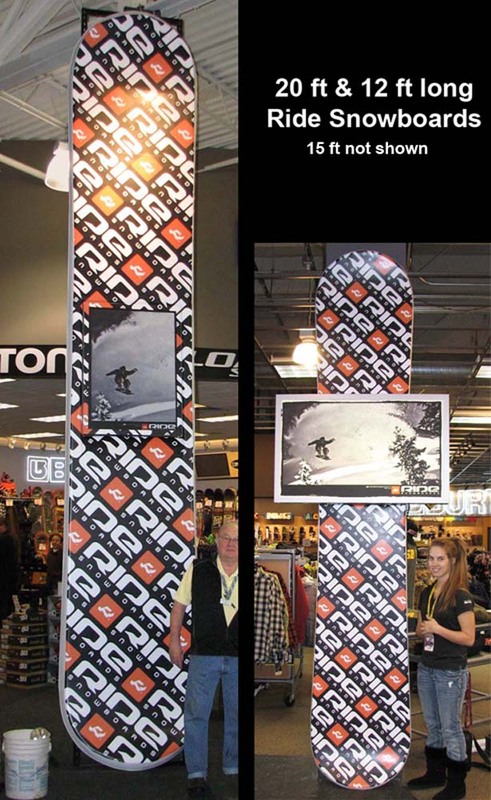 These 3d foam sculptures were made for Vail Resorts and Ride Snowboards. The retail displays are made of aluminum, steel foam & urethane hardcoat. The light boxes were fabbed by Brazz Specialties in Colorado. We made a 20ft, 15ft and a 12ft version. Sign Language in Denver applied the graphics. Posted in Uncategorized 8 years, 3 months ago at 6:27 pm.